His Holiness Paramahamsa Madhavadasaji was born in 1798 to a Mukhopadhyaya family in Bengal in a small village near Shantipur in Nadia district. He renounced the mundane life and made efforts to learn different traditions by going around Assam, Tibet, Himalayas and various other places in India, he got opportunities to get first-hand knowledge of technical Yoga. He was also a follower of the Bhakti-path earlier of ChaitanyaMahaprabhu and later by the Order of Vaisnavisam influenced by Gauranga. 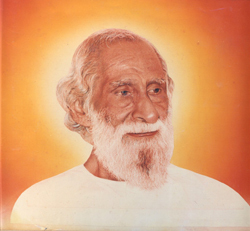 He acquired various “Siddhis” (perfections or supernatural powers) during this long period of over 60 to 70 years whichonly made him more& more humble.Paramahamsa Madhavadasaji took a voluntary Samadhi in 1921 at the age of 123 years. 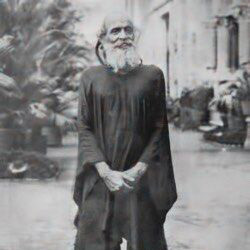 Shri YogendraJi- Founder of The Yoga Institute, Santacruz, Mumbai. Shri Yogendraji was a very organized follower of Yoga. He believed in perfect records and systematic approach. Many people came to him mainly for the solution of their physical and emotional problems. He insisted that Yoga was a way of life and removing obstacles in one’s personality would gradually lead people on to a better way of living. 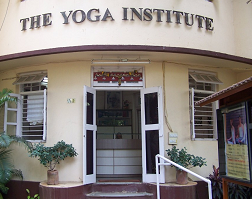 The Yoga Institute, Santacruz (East), Mumbai, India was founded in 1918 by Shri Yogendraji and is the oldest organized Centre of Yoga in the world. The Institute is an oasis of peace in the middle of the hustle-bustle of Mumbai city. The simplicity, sincerity and non-commercial angle of the Institute draws many people from across the world and today more than a thousand people come to the Institute daily. The courses offered here include Health camps for several health conditions like Cardiac problems and Hypertension, Respiratory problems, Diabetes, Orthopedic conditions and Stress related problems, etc. Some had remarked that at the Institute we cater to people from the womb to the tomb as Couple’s classes’ offers guidance for harmony in marital life, pregnancy antenatal and post natal classes are held, as are children’s classes, including some for teenagers and then right into adult life. Some Personal Growth workshops foster on the concepts of Self Development, Concentration, Relaxation and Mind and Memory Training. These topics are based on the Samkhya principles of the Bhavas or attitudes which have to be inculcated for a healthy state. PT Radheshyam Mishra(RSM) Joined this Institute in November 1993, as a student of Yoga Teacher Training. 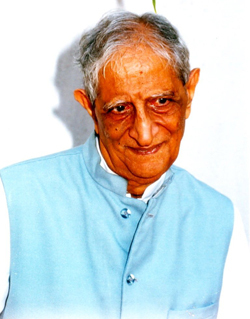 After completion of Teacher Training, he served the institute till 1995 as a faculty. In 1987, he set up the first Museum on Yoga at the Institute. Since taking charge at the Institute, he has concentrated in formalising ancient knowledge for common householders and laymen by publishing various books in different languages. For the serious students he has published 3 volumes on Yoga Encyclopedia and is as a Bible for the students of various Teachers Training Courses regularly conducted at the Institute. He took keen interest in setting up series of health camps for dealing with various ailments in a holistic yogic way. These camps of 2 days duration are held every month at the Institute. He is the Editor of the Institute’s Journal, “Yoga & Total Health” published since 1933. His editorials and articles are very brief and sharp and make the readers to ponder over it for long. He is a man of extremely few words and still manages the affairs of the Institute in very efficient manner. Smt. 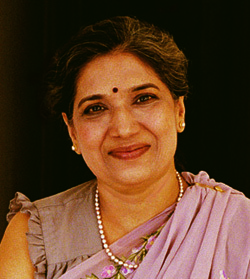 Hansaji Jayadeva was born in 1947 in an aristocratic Jain family. Her schooling was at Vile Parle, a cultural western suburb of Mumbai. The education at her school was based on Gandhian principles. At the age of 12, she would sit in static yogic postures for hours without any distractions, observing her breath, synchronizing with heart rhythms and practicing full control of the mind.